There's been a lot of excitement around our house these last few days! 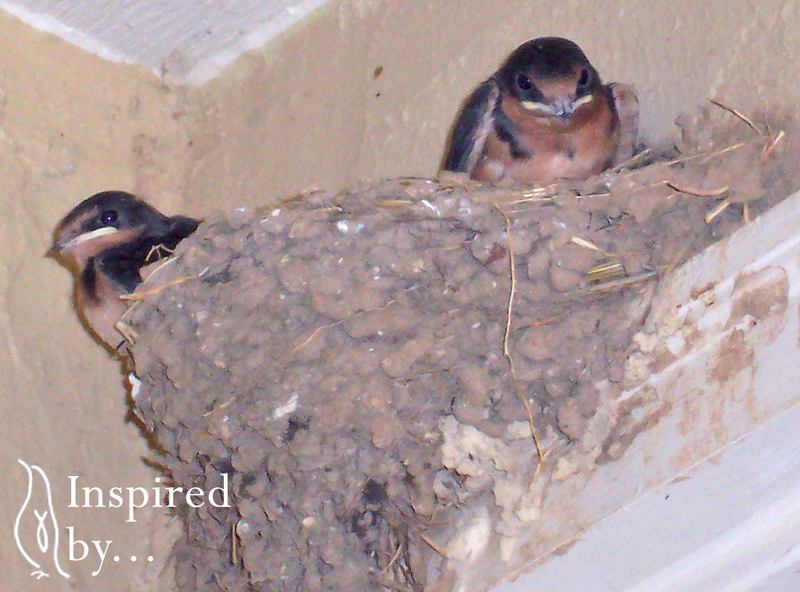 Much to my hubby's dismay, the Barn and Cave Swallows seem to love our front and back porches. The front, I can understand... the ceiling is at least twenty feet high and the front door is recessed so there are several sheltered corners for them to choose from. There are two nests on the front porch. But, because they build their nests as close to the ceiling as possible (we're talking literally a 2-inch clearance) it's very difficult for us to see what activity is going on up there. The back porch is a different story. With 12ft ceilings, the birds are building right on top of our heads. They also like to build over doors (which definitely does not make the hubby happy). And honestly, I don't like the mess either, but at 8ft in the air, I can really see what's going on! This little guy, and his two brothers, were born right above our bedroom door! I've had to watch my step when I go outside. Not only for obvious [icky] reasons, but also because when they are first born, the babies sometimes fall out of the nest. Heartbreaking, when you find one too late. 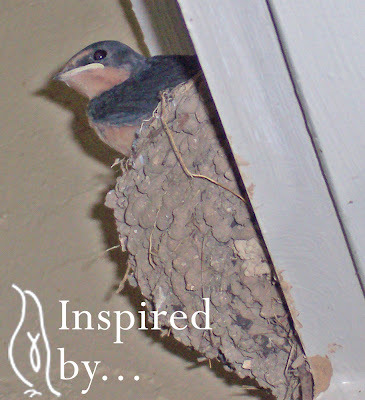 Heartwarming, when you are able to return them safely to the nest... as I was able to do for this little guy. It was breathtaking holding such a small life in the palm of my hand! So what was all the excitement about? This little cutie grew up and he and his brothers were getting ready to FLY! These are Barn Swallows. The other nest on the back porch (yes, we have a total of four nests!) is being used by a pair of Cave Swallows and their babies fledged about a week after these guys. The flash from my camera actually startled him into flying. His parents and brothers had been swooping in and encouraging him all day! Unlike many other birds who can't fly well right away and will spend several hours, even up to a day on the ground below their nest, swallow babies are instant aeronautical wonders! You can certainly tell the difference between them and their parents when watching, but they don't spend any time on the ground! Thankfully, there are a lot of other species to keep us entertained. 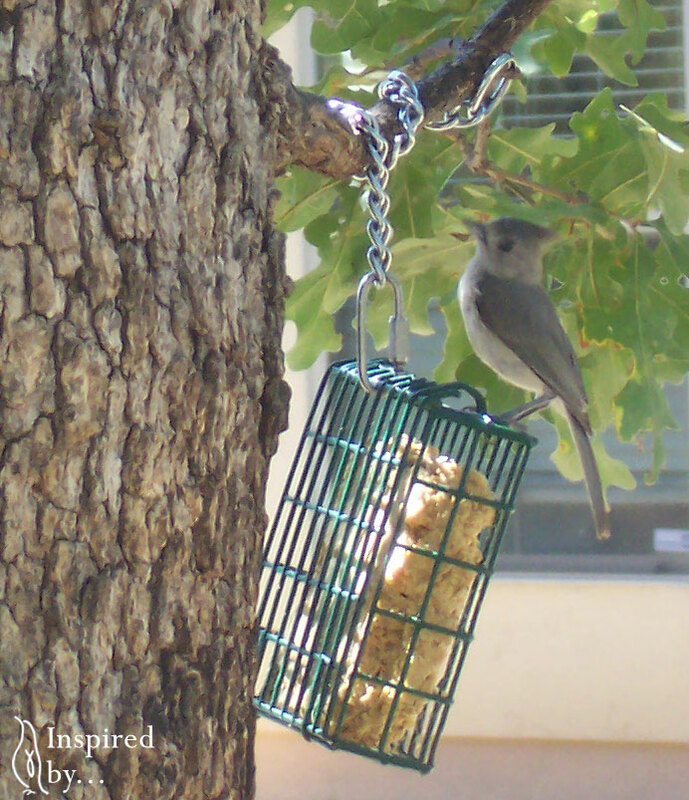 The Black-crested Titmouse is one of my favorite birds. They are so friendly and inquisitive! They also love my homemade suet! It's just an important to offer suet in the summer as it is in the winter. 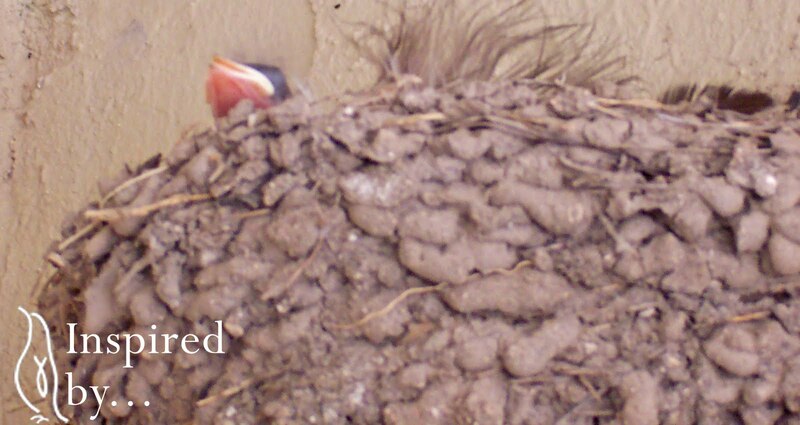 Families with fledglings may crack some seeds, but they will first go for the softer, higher-fat offerings that are ready to eat. I've saved up several plastic suet containers from the store bought suet and now I make my own! It's easy, a lot cheaper than store bought and best of all, the birds love it! Scoop the lard and peanut butter into a large saucepan over medium-low heat. Melt, stirring occasionally. Meanwhile, mix the oatmeal, cornmeal and 1 cup of the flour in a large mixing bowl. Pour the melted lard and peanut butter mixture into the bowl, scraping the pan with a rubber spatula. Mix well. If it is more runny than stiff, add the remaining flour and mix well. 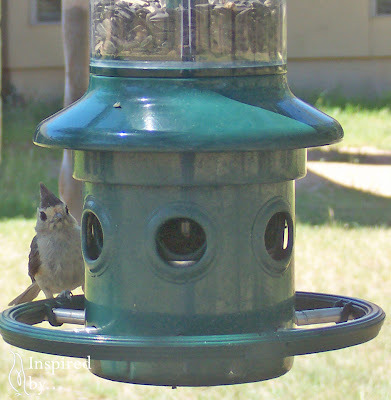 Fill your plastic suet holders. Cover each with aluminum foil and place in the freezer. Once frozen you can store them individually in zipper-lock bags in your freezer or refrigerator, until needed. Try adding a cup of sunflower seeds, raisins or cranberries to the above mixture. Or some of each! It doesn't take much time or effort to lay a table for our feathered friends and they, in return, will give you hours upon hours of entertainment! Hint: Save those corncobs from your summer BBQ's! After they've dried a bit, twist a wire around one end to serve as a hanger, smear them with peanut butter and hang them out for chickadees, wrens and titmice to discover! Do you feed the birds? 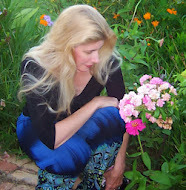 What kind are in your yard right now?